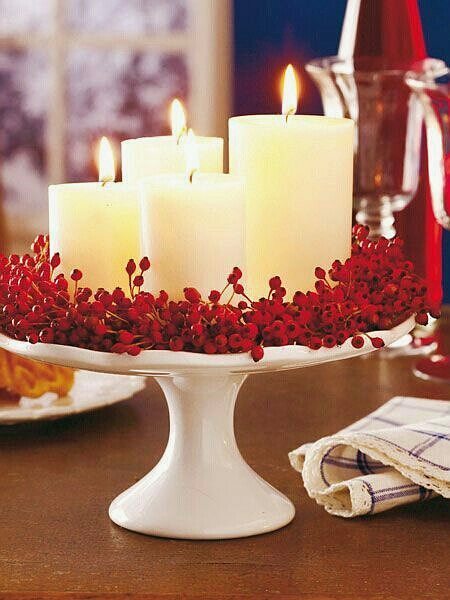 It is an easy DIY project for Christmas with which you can give a unique look to the decor of the holidays. To do this hand-made arrengement you can use a base of cakes, a beautiful tray or even a decorative plate, and add in a set of candles and then surround them with decorative balls, pine cones, berries or other colorful accessory to complete the composition. Get inspired to you to create an arrangemente simple, fast and for which you will not need to spend money, but to use what you already have in your home.